As previously mentioned in one of my new year posts here, I've taken on the Popsugar reading challenge and am really enjoying it! I like how it gives me chance to read books I wouldn't usually and gives me categories to stick to. I'm so glad I chose to take it on. I've read more books this month than I usually do in a whole year. I thought I'd go through the list and tell you my thoughts on the books I've read so far! This book was truly amazing to me because it gave me a bigger admiration to my hero, Audrey Hepburn. I would even recommend it to those who are not as big a fan of her like me. For more details on the book, please see my more detailed review here. 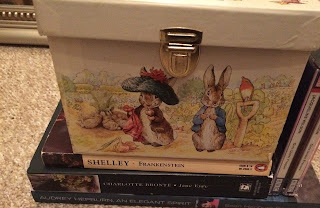 I have such fond memories of reading the books of Beatrix Potter growing up. I was inspired by the tale of her drawing the pictures and writing the stories of the animals. As a kid I wanted to be a writer, and therefore loved reading her books and even finding out how her books came to be. With moving recently, I came across the books I had and decided to give them a read. It was nice to look back. I think these are another thing kept by my mother; she often says of things from my childhood: "I'm keeping these for my grandchildren!" My Dad had been enjoying the book, and referred me to it through Audible. Audible is great as you get the first book free. The book itself was incredible and featured many unexpected twists. Without giving too much away, it is based on a woman on her journey to cope with the death of her husband, Joe a meer four months after the murder of her sister, Claire. She is an incredibly strong woman as an ex-soldier and mother to Lily, it follows her journey as she comes across many discrepancies on how it came to be. Just when you think you can guess what is happening, something happens to change your mind completely! I don't really have a list of books to read if I'm honest, but do want to read more classic novels. Therefore I chose to read Jane Eyre. I was pleasantly surprised because I didn't expect to enjoy reading it as much as I did. Often I have found myself to be bored by some 'classics'. However I challenge anyone to get bored of reading this as it has elements of many good books. It features the hardship of a girl growing up unwanted, her love for education, a love story, comedy lines, some slight horror and a journey to discovery. I recommend this to anyone to read, even those who don't think they will like it. I also thought the old english might make it hard to follow, but to be honest there weren't that many adaptations. I was also surprised to learn some scottish words came from the olde english (I might be stupid to not have figured that bairn and other words come from old english originally). I expected a predictable love story, but found an unpredictable plot about a woman's life growing up. I mistakenly bought a CD instead of the book, but thoroughly enjoyed listening to this again! It was incredible as it took me back to my pre-teen self. 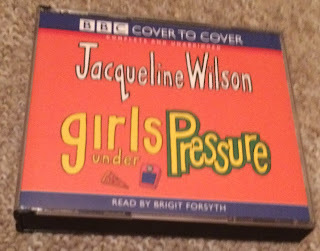 Growing up I greatly admired Jacqueline Wilson and read all her books at the time. Favourites that come to mind include Lottie Project, Illustrated mum, The Story of Tracy Beaker, Lola Rose and the Girls series (like Girls under pressure, but also included Girls in Love and Girls out late). Jacqueline Wilson has a great way to tackling big issues, but writing about them in a way to educate and entertain her readers. This book tackles many issues of growing up including dealing with relationships, annoying siblings, bullying, dealing with stress, accepting your body image and dealing with weight loss and weight gain concerns. I can appreciate that this was beautifully written with bits like this: "I will revenge my injuries; if I cannot inspire love, I will cause fear and chiefly towards you my arch-enemy, because my creator, do I swear inextinguishable hatred." From reading, I can understand why it is a classic and am glad I read it. It was nice to read a book in a few days. I think a normal reader could finish this in two days easily. I hope you enjoyed hearing about the books I've read so far. There will be many more to come. I'm currently reading Cloud Atlas by David Mitchell. I've found it slow, but it is really well-written. This one is a lot bigger than some of the ones I read last month, so hope I can read 2 or 3 more for next month! I adore Frankenstein, and I have the entire Beatrix Potter collection too! I cannot wait to read them to my son when he's older!! I just read Frankenstein for the first time and holy crap was it amazing! I don't normally get to read anymore, I used to be able to read 4-5 books in a month. You got some interesting reads here on your list, I will definitely check some out. I loved the beatrix potter books when I was younger! Such a good list. I would love to read Jane Eyre by Charlotte Bronte. I remember reading Beatrix Potter when I was younger. I got the duck as a money pot version and I still have it to this day, a good sixteen years later! I loved the Girls Under Pressure series, too--they're still on my bookshelf, and have sentimental memories of sitting inside on a sick day from school and reading through all four books in one day. It's crazy how many memories books can bring you. I love reading and it's great to get involved in challenges. I had to give up on cloud atlas. I've tried reading it 3 times and just can't do it. I've never listened to an Audio book, how do you find them compared to reading? You are a reading machine right now. I also like how challenges get you to read books that you usually wouldn't. Thanks to my GoodReads book club I read Anne of Green Gables last month. Not sure what took me so long to get to it. Read on. 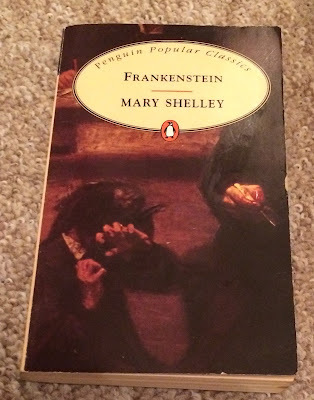 I actually really enjoyed Frankenstien, but haven't read it since I was in school. I might have to pick it up again. I've been looking for new books/audio-books! Thank you. Oh I loved your last post like this, I'm glad to read a new one. I too loved Beatrix Potter as a child, and i've recently introduced it to my children which I love. Also, I really want to try out an audio book! I've read a few classics that I struggled to get through as well, but Jane Eyre was a very compelling and easy to read book. I really loved it. All of Harlan Coben's books are fantastic, I've yet to find one that wasn't a real page-turner. I don't read half as much as I should unless I'm on holiday so an audiobook sounds like a good option. Throw back to Jaqueline Wilson! I used to love those books as a kid. I love this challenge! What a great idea! I don't read nearly as many books as I used to because I drive to work now but I must make the time to do it. Great picks! I'm actually very intrigued in finding out more abt Audrey Hepburn so I'll check that out! Love the idea! And a great reminder for me, I should definitely start reading a bit more. 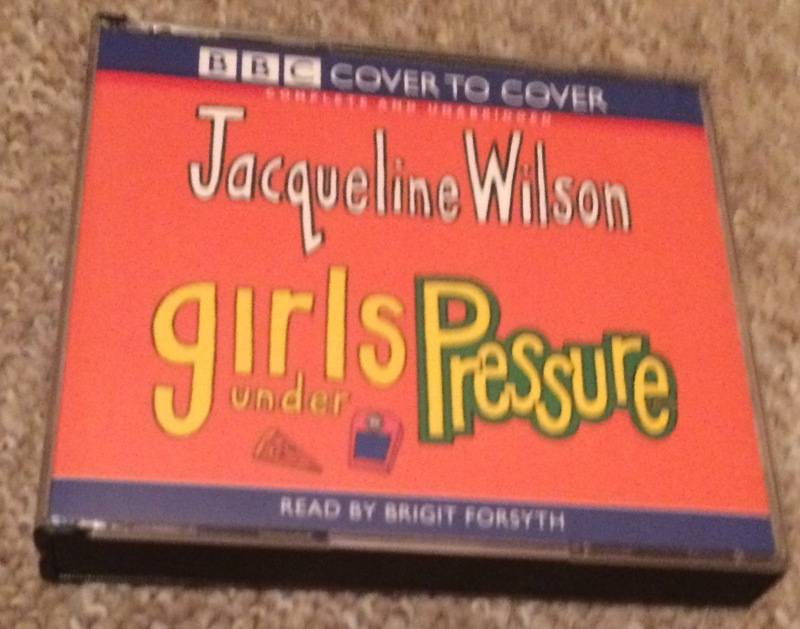 I listened to the Girls Under Pressure audiobook before I actually read it! I remember borrowing it from the library. Is it crazy that I haven't read any of these books!?! I'm pretty Jane Eyre was on a high school summer reading list and I just grabbed the cliff notes or something. I would probably so enjoy it now that I'm older!! :) Thanks for sharing! This is such an interesting reading challenge! I like that each book has a theme and who didn't love Jacqueline Wilson growing up!? Love reading books about Audrey too, she is such an inspiration! I love reading a good paper book. Shame I haven't had the time for ages. Fool Me Once sounds like a really interesting book, and one I'd definitely like to check out! I loved all the Jacqueline Wilson books as a kid! You have a really diverse taste in books, some really interesting and classic reads here. 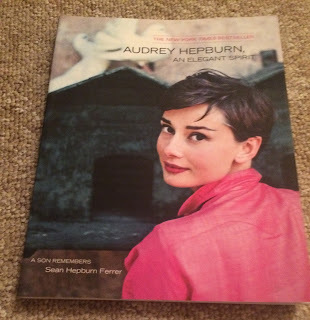 I need to read that Audrey book, I am such a fan of hers! This is a unique reading challenge. :) How many books do you usually read in a week (or month). I read every day. As an editor, part of that is my job, but I love to read. I read several times throughout the day. I usually read for 20-30 minutes with my morning coffee, 20-45 minutes Monday-Friday while doing cardio (elliptical, cross trainer, bike, stair climber, etc.) at the gym, and at least 30-60 minutes at bedtime. LOL I don't really watch TV. I might read more during a day, but it depends on what is going on. I'm most curious about your thoughts about the audiobook. If you compared/contrasted the audiobook and reading a book, what did you like/dislike between the two? I could see audiobooks working better in some settings than others.